"You're like at that age before guys become dicks." A24 has unveiled the first official trailer for a new indie film titled Mid90s, which is actually the feature directorial debut of Oscar nominated actor Jonah Hill. It's both written and directed by Jonah Hill, and is about a 13-year-old kid living in Los Angeles in the 90s, who spends his summer navigating between his troubled home life and a rambunctious group of new friends that he meets at a skate shop. Sunny Suljic (from The Killing of a Sacred Deer) stars as Stevie, and the cast includes Katherine Waterston, Jerrod Carmichael, Alexa Demie, Jax Malcolm, plus Lucas Hedges. This looks great! I dig the 4:3 aspect ratio, and the grungy 90s vibe to this. Definitely worth a look. Jonah Hill's Mid90s follows Stevie (Sunny Suljic), a 13-year-old boy living in 90s-era LA who spends his summer navigating between his troubled home life and a group of new friends that he meets at a Motor Avenue skate shop. 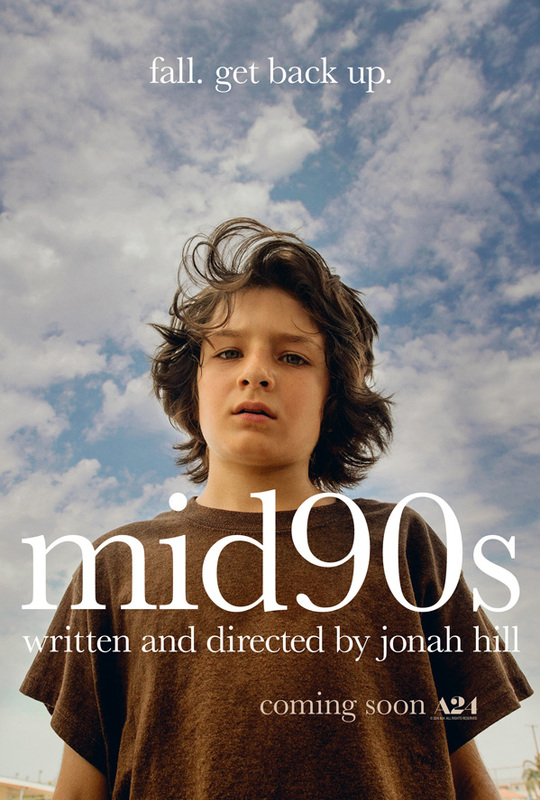 Mid90s is written and directed by Oscar nominated American actor-turned-filmmaker Jonah Hill, making his feature directorial debut with this, after co-writing a few screenplays previously. This hasn't premiered at any film festivals or otherwise yet - stay tuned for updates. A24 will release Jonah Hill's Mid90s in select theaters starting on October 19th later this fall. First impression? Your thoughts?